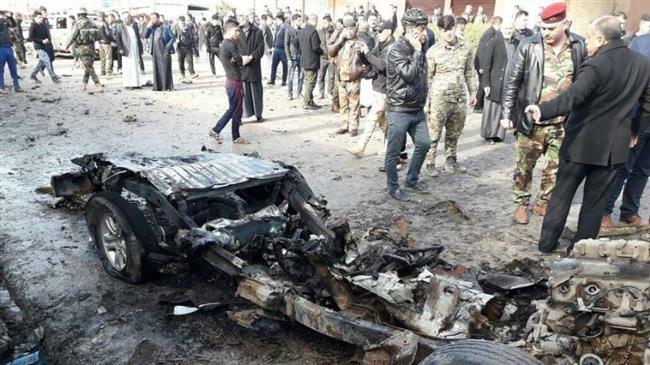 The Islamic State group (ISIS) Tuesday claimed responsibility for the bomb attack that killed at least 3 people and wounded over 10 others in the city of Tal Afar in northern Iraq that it controlled until August 2017. Iraqi authorities in Tal Afar city, located around 80 km west of Mosul, said a car laden with explosives went off Tuesday killing at least two people and wounding at least 11. ISIS on Telegram messaging app said the blast killed three people as it claimed responsibility of the attack. The terror group was flashed out of the city and the entire Nineveh province last year in August by the Iraqi army, Federal Police Force, Counter-Terrorism Service (CTS), pro-government fighters from Popular Mobilization Units and the Interior Ministry’s elite rapid response forces as part of Baghdad’s efforts to retake control of swathes of the country under the terror group’s sway. Former Prime Minister Haider al-Abadi in December declared victory over the global militant group. Written by: KanelkaTagba on December 26, 2018. Posted by KanelkaTagba on Dec 26 2018. Filed under Headlines, World News. You can follow any responses to this entry through the RSS 2.0. Both comments and pings are currently closed.